Bossier Sheriff’s Office added more boats Monday to the search on the Red River for the missing mother and son from north Benton. 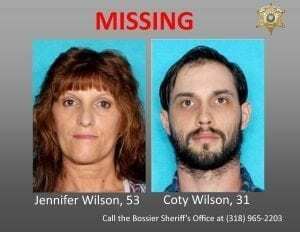 Deputies launched five boats this morning, to include two primary Marine Patrol boats, the Air Boat, and two Zodiacs, in their search for Jennifer Wilson, 53, and her son, Coty Wilson, 31, of the 300 block of Cottage Grove in Benton. Deputies have been searching the Red River since last Thursday afternoon after passing motorists spotted a silver Chevrolet Impala abandoned on the top of the Highway 2 bridge around 6:40 on March 15. That abandoned vehicle belongs to Jennifer, and she and Coty were last seen around 4 p.m. last Thursday at a gas station in north Caddo Parish with that same vehicle. While the abandoned vehicle was found on the bridge, there have been no reports of anyone actually seeing Jennifer or Coty on the bridge. Bossier detectives did confirm there was a note from Jennifer in the vehicle and another note from Coty at another location, both which appear to be written as “goodbye” notes, but don’t appear to necessarily be suicide notes. 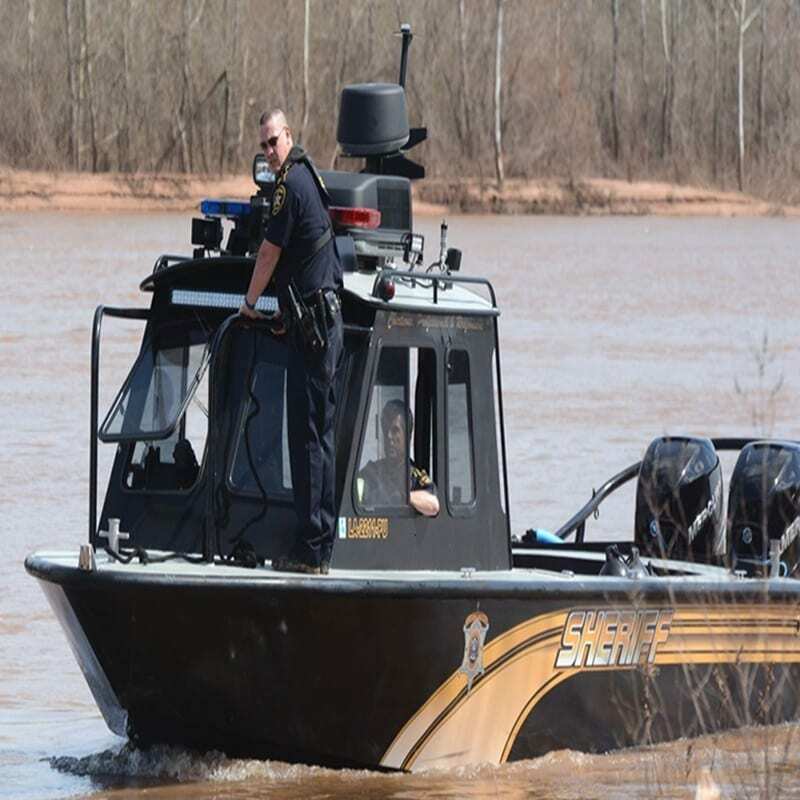 Marine Patrol units from the Bossier Sheriff’s Office and Caddo Sheriff’s Office have steadily searched the river since Thursday night and through the weekend. On Monday morning, the fleet of boats in the search was expanded to five in order to cover more water quickly and search bank areas more closely, as well as expand their search even further south of the bridge. Detectives continue to ask the public to please contact the Bossier Sheriff’s Office at (318) 965-2203 if they have any information about what happened to Jennifer and Coty Wilson. Jennifer Wilson is described as 5 feet, 4 inches, weighing about 150 pounds, with brown eyes and brown hair. Coty Wilson is described as 5 feet, 6 inches, weighing about 140 pounds, with brown eyes and brown hair.